Bristol Cider Shop’s annual bank holiday cider and sausage festival is back at the Southbank Club in Southville on Saturday 3rd and Sunday 4th May 2014. 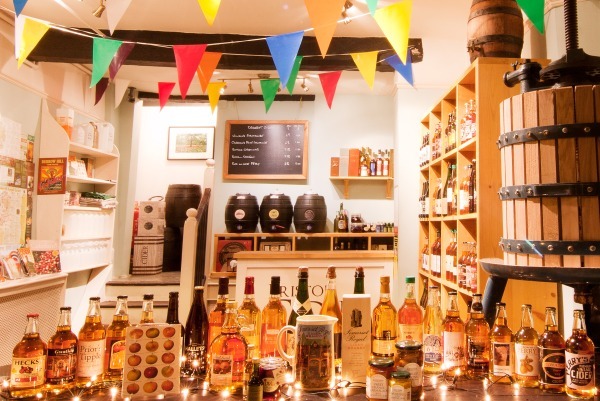 Sticking with tradition, the event will celebrate all things West Country, including the very best local ciders, local sausages and local Cajun, country and roots music. This year, the May Bank Holiday cider festival also forms part of Bristol’s Food Connections: a unique citywide food and drink festival which will run from May 1st to 11th. Expect to find over 30 varieties of the new season’s finest artisan cider, all crafted within 50 miles of the Bristol Cider Shop, which is located on the historic Christmas Steps. Festival goers will also be tempted with a sizzling array of sausages from a variety of central Bristol butchers, alongside local vegetarian options. While enjoying a cider and a sausage, those joining the celebrations can also enjoy live music from local Cajun, country and roots bands. Ponchartrain will be bringing their rootsy, good time, country and bluegrass vibes to the Saturday night, and Flash Harry will travel from the swamplands of Louisiana to the hills of Kildare with their foot stomping Irish/Cajun/folk blend on the Sunday evening. Entry is free during the day (12-6), with families welcome. Soft drinks will be available, along with alternative alcoholic options for non-cider drinking friends. Tickets for the Saturday and Sunday night (7-12) are £5 each, with the evenings including live bands and more. Tickets are available now and always sell out so be sure to buy early from Bristol Cider Shop. Bristol Cider Shop are also on the hunt for volunteers for the festival, both to pull pints and to help out on the BBQ. A three hour shift will be paid with two pints of your favourite cider, a scrumptious sausage, a Cider Shop t-shirt and the envy of all of your friends! For more information on how to get involved, email contact@bristolcidershop.co.uk. For tickets or more information, visit Bristol Cider Shop on the Christmas Steps in central Bristol, or online at www.bristolcidershop.co.uk.